If the test field is extended at more levels including the politicians to stem the drug habit spreading not only in our country but at the world level. Then we can say, Yes, Dope is only the Hope! It is a great set-back to the sports lovers expecting to win the medals in the Rio Olympics with the failure of Indian 74 kg wrestler Narsingh Yadad in the doping test conducted by National Anti-Doping Agency (NADA) a development which has cast doubt on his participation. No doubt, the hearing is going on the case of Yadav but it cannot be said with authority as to whether he will be able to participate in the Olympics or not at this stage. It has definitely put a big question mark on the sports events with reference to ‘doping tests’. Whenever international sports are organized, some of the players come under the trap of doping. In competitive sports, doping refers to the use of banned athletic performance-enhancing drugs by athletic competitors, popularly known as PEDs and more broadly the use of any external device to nefariously influence the outcome of a sporting event has been a part of the Olympics since its inception in Ancient Greece. The term doping is widely used by organizations that regulate sporting competitions. In the instant case, The report of Yadav’s 'A' sample test came out positive. Later, he was called for his 'B' sample test, which also returned positive. "He appeared before a disciplinary panel yesterday. The panel sought for more reports regarding the matter. Is it not a disappointing for India that athlete of Narsingh’s sature, a medal prospect at Rio has failed the test. Sports Authority of India is said to be aware that he could be harmed by some rivals when selection controversy between Yadav and Sushil erupted but it was thought to be physical. But when athlete has complained about sabotage, it needed to be probed. Anti-doping authorities state that using performance-enhancing drugs goes against the "spirit of sport". But it is little early to speculate about the entry of Yadav in Rio Olympics. There is a long list of banned drugs from time to time. Since no athletes were caught doping at the 1980 Summer Olympics, it was claimed that athletes had begun using testosterone and other drugs for which tests were yet to be developed. There had been hardly a medal winner at the Moscow Games – not a gold medal winner with one or the other reason but Moscow Games were well called as Chemists’ Games. Even "Zero Tolerance for Doping" was adopted as an official slogan for the Beijing Olympic Games. A number of athletes were already eliminated by testing prior to coming to Beijing. It may be Asian or Olympic Games, every upcoming sports player has to go through the strict tests according to the amicable settlement between the countries in the world. It is also seen that those players who have little doubt on their performance, do take certain medicines on the advice of their coaches but when comes under scanner, they make lot of excuses to save themselves. But the Indian agency NADA is very strict in this issue which follows the anti-doping rules honestly. Take the case of Punjab where Sixth River of drugs is said to be flowing and the future of youths looks to be dark. The government has to introduce the ‘dope test’ for youths getting admission in the colleges to to create a sense of responsibility for not entering into this social-evil, which is ruining the families, state and country as well. Even the government is thinking to bring in this test at the time entry in service. I think both these initiatives are praiseworthy and rather other states should follow it to make the drug-free India. This will definitely bring a sense of responsibility among the youths to shun the menace of drugs but would also ensure that only healthy persons join the service in future. I don’t hesitate to say that this test should be extended to exiting employees also at least once a year for all without giving any specific date of testing. Frankly speaking, the selection of Yadav had been facing lot of controversy even in the court of law and his rival got a chance to raise his fingers and even if he is given a clean chit with the additional tests, he will definitely be under stress. It will not be treated as his skill with the artificial power. This hullabaloo has not only made him morally down but tarnished the image of India at the global level. The sports coaches should also think that it is better to recognize the natural skill of the player and developed to get distinction in the national and international level competitions. It is now an admitted fact that introduction of Dope Test at various level will help in creating a healthy society and environment, it would be in the fitness of things if the test field is extended at more levels including the politicians to stem the drug habit spreading not only in our country but at the world level. 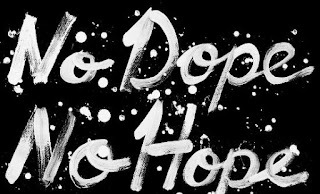 Then we can say, Yes, Dope is only the Hope!